A little less NYC and a little more Cape Cod, City Island is a quaint island in the Bronx full of old Victorian homes, squawking seagulls, fresh salt water, a marina full of boats, and enough lobster to stuff your face for days. While it feels far away from the cacophony of Midtown at lunchtime, the quaint community is less than an hour and a half on the subway, which means it’s the perfect day trip for when you’re burned out on brunch, museums, and dance parties. Just take the 6 train to the last stop (Pelham Bay Park), then take a 10-minute bus ride on Bx29 to City Island (or, if you’re in a car, it’s just a it’s 40-60 minute drive from Midtown Manhattan). 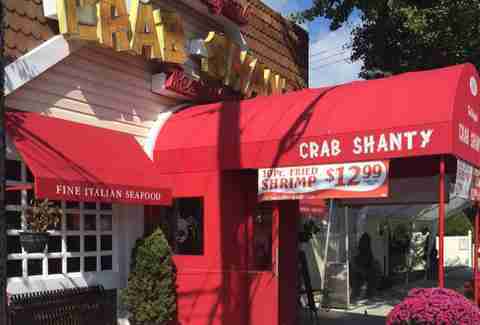 From seafood to sailing, here are 10 reasons to escape to City Island this summer. 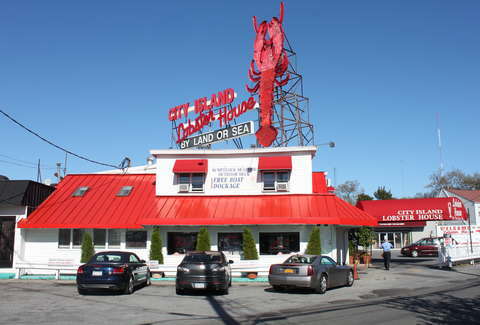 Seafood is one of City Island’s main lures, with places like Johnny’s Reef, The Lobster Box, Seafood City, and Original Crab Shanty all offering that quintessential low-key, surf-shack experience you just can’t get in Manhattan. Johnny’s in particular can’t be missed -- located right on the water, it’s sort of reminiscent of a high school cafeteria (minus the bullies), with food served on trays and lots of long blue benches. Everything from lobster tails and scallops to clams and oysters can be ordered either fried or steamed, and there are frozen cocktails aplenty. Also don't miss Lobster House, Sea Shore Restaurant & Marina (where you need to get the clam chowder), and Sammy’s Shrimp Box -- or if you're looking something a little more upscale, The Black Whale. As the name suggests, Jack’s Bait & Tackle also sells bait. 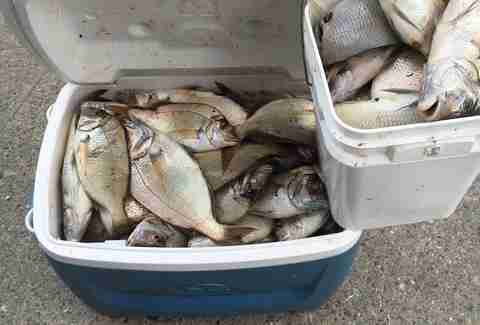 In fact, it's been providing locals with bait since 1945, and its staff will happily guide you to the best areas to catch porgy, flounder, bass, and bluefish (and you thought the waters of New York were only full of syringes!). For a fancier experience, you can also charter a boat with Jack’s or Island Current. Got some cash to burn? Take in the views of Manhattan while cruising Duran Duran-style on your very own yacht. Island Current offers private party boat rentals on boats triple the size of your studio apartment -- ranging from 42-76ft long -- that come equipped with a stereo, a galley, and a radar to find fish, depending on which vessel you choose. If you're looking to spend a day hanging out with friends on the water, popping Champagne, and blasting to Rio on repeat all day (colorful suits suggested), this is the move. If your idea of a good time is less hedonistic and more intellectual (or you just burn really easily), there's still something for you here. 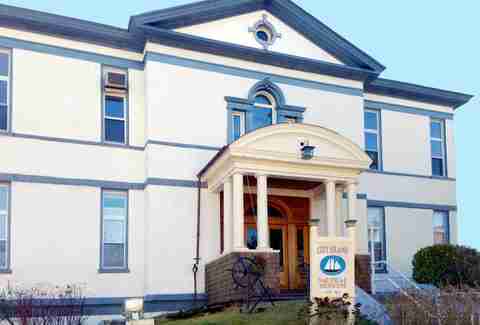 Stop by the City Island Nautical Museum to learn all about City Island’s shipbuilding history and to see wooden boat displays and photographs of City Island life from years gone by. No fishing town experience would be complete without some ice cream. After you’ve stuffed your face with seafood and spent some time out on the water, head over to Lickety Split for a scoop of red velvet or Birthday Bash. Housed in an old cottage, Lickety Split is the perfect antidote to all the fancy multi-ingredient ice cream you've been spending far too much of your paycheck on. It's the kind of place that brings to mind lazy summers, when you didn’t have a care in the world, and didn’t know what artisanal meant. 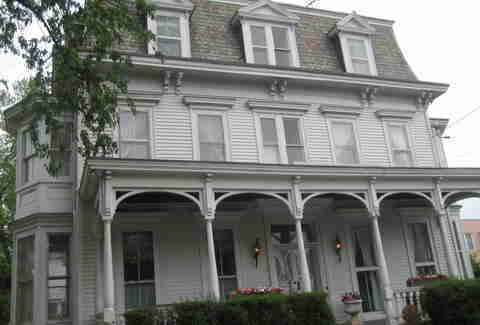 Stroll down City Island Ave, the town’s main street, to visit some of the local shops and art galleries unique to the island. Starving Artist Cafe is a gallery and coffee shop rolled into one, selling cool art books and handmade jewelry. If it’s antiques you’re looking for, Early Ruth Art & Antiques has enough bric-a-brac to fill that large country home you don’t have. Jewelry lovers can head to Calico Juno Designs which specializes in gemstone and wire designs. Since you’re not getting into Hamilton any time soon, enjoy a play by the City Island Theater Group. They’ve put on everything from Evita to The Glass Menagerie to Steel Magnolias. Tickets are normally $20, the theater is small, and best of all you’ll feel like you’re catching a small town play right in NYC. Like everything else in City Island, drinking here is more reminiscent of a small town experience than any overcrowded, overpriced bar in Manhattan or Brooklyn. City Island bars are truly where everybody knows your name, and friendly locals and cheap drinks make for a welcome respite for denizens of the other boroughs. 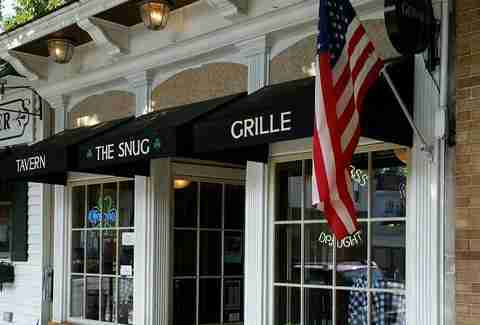 You can’t go wrong with The Snug, a popular, no-frills Irish pub that’s a favorite among locals for its talkative bartenders (seriously, sit at the bar and just listen to their stories). Fella’s is another great option -- a local dive bar with good bar food, lots of cheap beer, and a staff that's been there for ages. For a (slightly) fancier option, head to Alehouse City Island, a gastropub known for its craft beer selection and trivia night. Rachel Khona is a writer who prefers her fish fried and her piña coladas frozen. Follow her on Twitter @rachelkhona and on Instagram @rachelkhona and @crimsonandclover_studio.